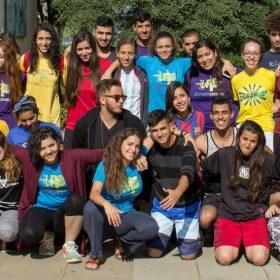 Camp Ultimate Peace 2019 coaches app now online! Due February 1st! This past weekend featured back-to-back End of Season events in Ultimate Peace, highlighting the leaders-in-training (LITs) and UP’s year-round programming with hundreds of participants! On Friday, more than 30 LITs with their staff began their last 24-hour meeting of the year. The first-year participants have grown closer over the year and planned a great half-day of activities for the upcoming Camp. The second-year LITs talked about their April Friendship Tour of the USA and discussed the approaching last year in the program. And the third-year LITs presented to program staff about their projects, many of which relate to expanding the reach and depth of Ultimate Peace. One third-year LIT, Nevo, spent his spring break 2016 – two weeks – coaching every single UP practice during that time period. Since that time, he has been planning to host American LITs visiting the Middle East before and after Camp in July. This hosting involves communicating with families and teens in the US and Middle East, coordinating communication, information, logistics, and more. 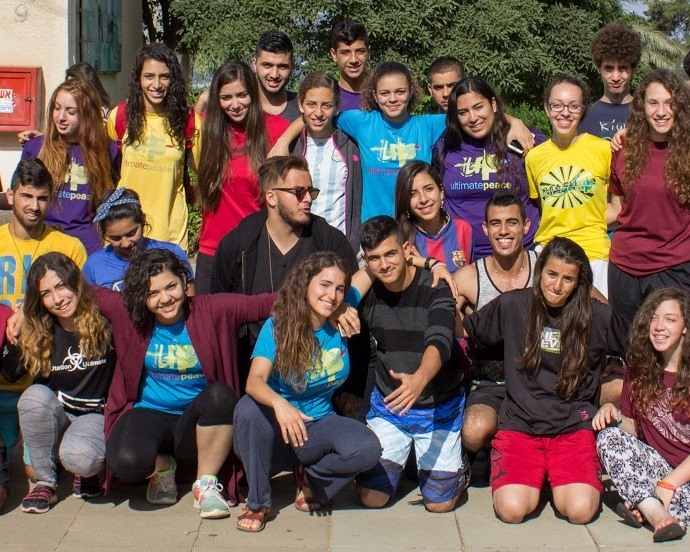 As a bilingual LIT from Kiryat Ono, a Jewish community, Nevo partnered with another third-year LIT, Feras, who is from an Arab community, Arrabe, to have three languages in the surveys. There are two additional aspects of the LIT weekend that were extremely encouraging were. Firstly, that all three years’ LIT training programs Friday were led in part or whole by graduates of the LIT program itself!!! These junior staff are growing by leaps and bounds through increased responsibility, difficulty, and success! Secondly, that two third-year LITs led the tournament on Saturday. This being their second such tournament taking a leading role, they capably helped organize the format and fields as well as assignments of coaches, LITs, and players to teams. We were very happy that Saturday’s “Friendship Hat” Tournament was a partnership with Fresh Ultimate. Aren’t you as proud of them as we are?!! ?